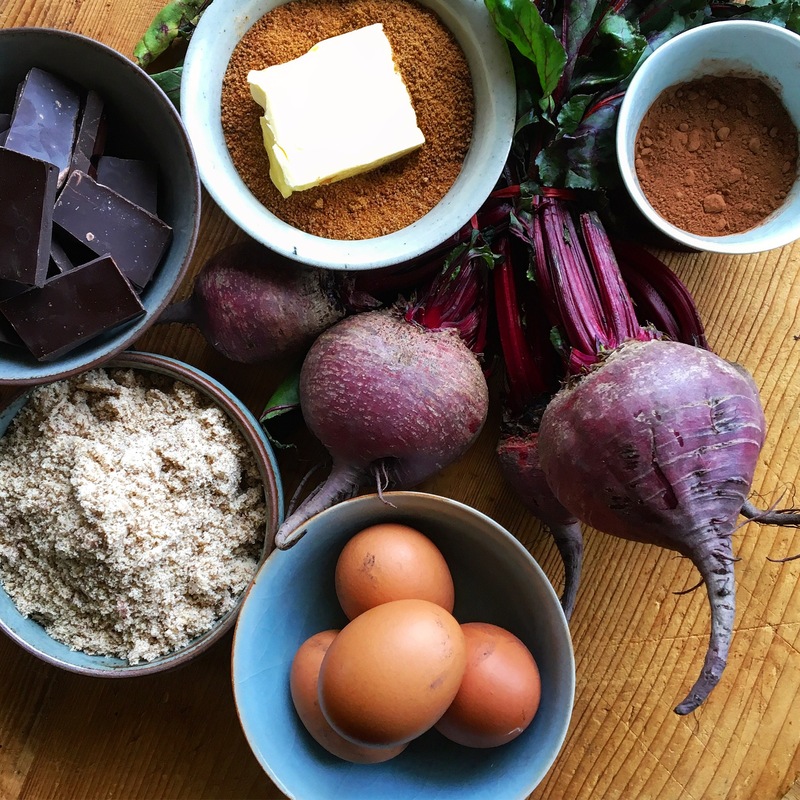 Beetroot is by far my favourite root vegetable and it is sings in the company of cocoa or cacao. 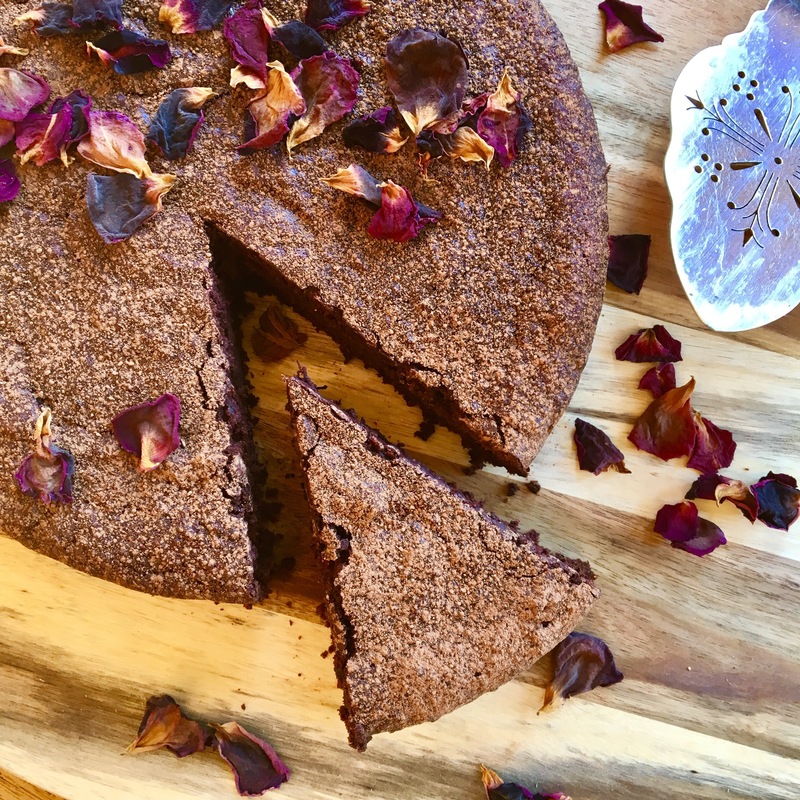 This is one nutrient dense cake chock full of antioxidants, protein and light on sugar! I came up with this recipe as an alternative to the traditional sugar laden versions. In my take on it I substitute coconut sugar that is lower on the glycemic index than cane sugar. It has a lovely caramel flavour that really complements the earthiness of the beetroot and chocolate. I have tried to keep a slight savoury edge to the cake. When selecting your beetroot look for firm, deeply coloured bulbs. If the green tops are attached they are a great indicator of freshness – fresh leaves can also be used later in salads, stir fries and green smoothies. I grate the beetroot very finely on my microplane grater, doing this you ensure that there are no surprise chunks of beetroot and it also improves the texture. The kids have not quite worked out that my chocolate cake is indeed a beetroot chocolate cake. I sell it to them as my “magenta velvet chocolate cake”!! I have also put the mix into a slice tin and used it to make squares for the kid’s lunch boxes, you will just have to decrease the amount of time in the oven, testing it with a skewer at intervals to ensure that it is cooked through. You can serve this cake with natural yoghurt (animal or plant based). It is also lovely with an orange blossom cashew cream (recipe here) or labneh. You can make labneh by simply placing a plain yoghurt of your choice (dairy or plant based) in a strainer lined with muslin, cheesecloth or a nut bag. You then place the strainer over a bowl and leave in the fridge overnight until the whey collects in the bowl and the thick, creamy labneh remains in the strainer. You can keep the whey for use later, in smoothies or as a starter for lacto-fermenting vegetables. Line a 20cm springform tin with baking paper or grease and “flour” the tin with a little extra nut meal. Melt chocolate pieces in a heat proof bowl over a saucepan containing gently simmering water ensuring that the water is not touching the bottom of the bowl. When the chocolate has melted, set aside the bowl and let cool for about 10 minutes while you organise the other ingredents. Combine the beetroot and egg yolks and then add the melted chocolate. When these are combined then stir in the hazelnut meal, cocoa/cacao, baking powder and coconut sugar. In a seperate bowl whisk the egg whites until stiff peaks form. Add around one quarter of the egg whites to the cake batter and stir until the mixture is lightened and combined. Gently fold through the remaining of the egg whites until a uniform consistency is achieved. Using the spatula spread the cake batter evenly in the cake tin and bake in the oven for 45 - 55 minutes. The cake will be ready when risen and cooked through when tested with a skewer. Transfer from the oven to a baking rack and allow the cake to cool for 5 - 10 minutes before releasing the tin. When cool, use a small sieve to dust the cake with a little cocoa or cacao powder. You can shake it up a bit - you can substitute almonds for the hazelnuts and play around with other sugars. In the past I have also added a touch of spice such as vanilla and cinnamon. Enjoy your Beetroot, Chocolate and Hazelnut Cake! Sorry Vicki *blushing*, midnight writing made me slip up!! 260g raw beetroot, finely grated. So sorry!!! I love your blog and that cake sounds amazing! The beetroot seems to be missing as ingredients/ quantities. Feeling the need to make this beauty! Oh yum. 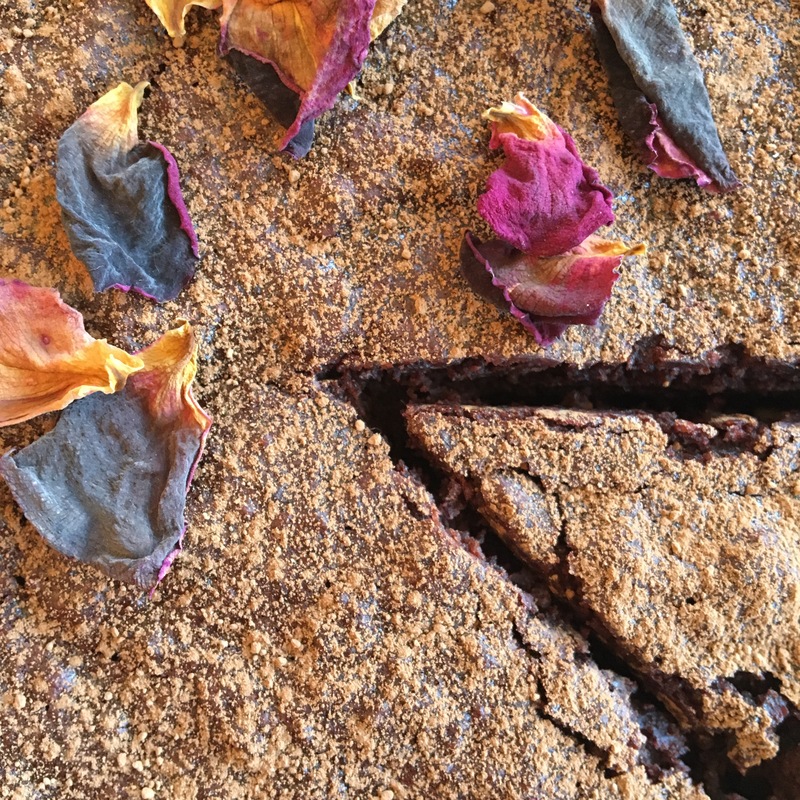 My kids love a chocolate beetroot cake and this one sounds superb. Super easy Robyna, I also make it as a slice or mini muffins for lunch boxes (or I used to until the school went nut free). You just need to significantly decrease the cooking time and test with a skewer!